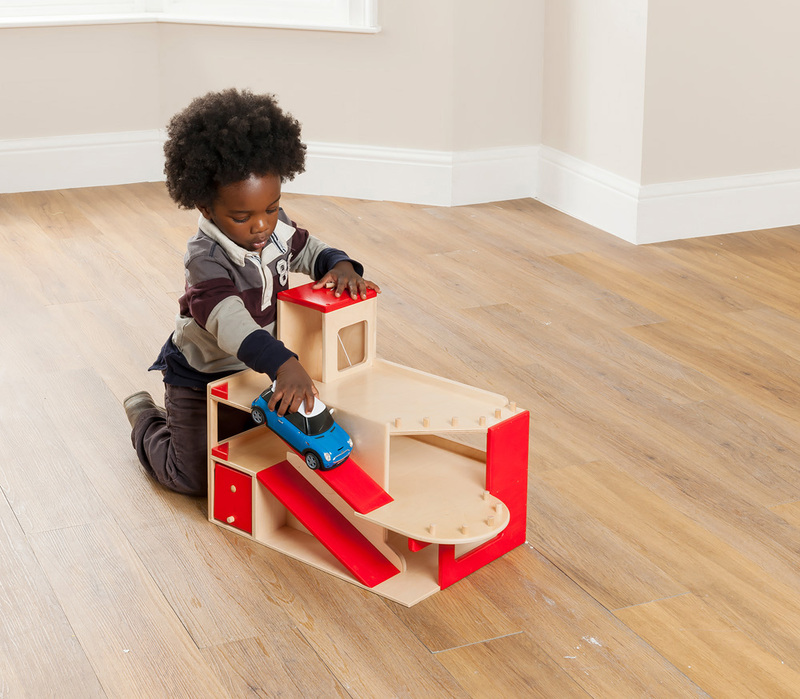 The wooden small world garage toy is ideal for classrooms in schools and nurseries with pretend play areas. 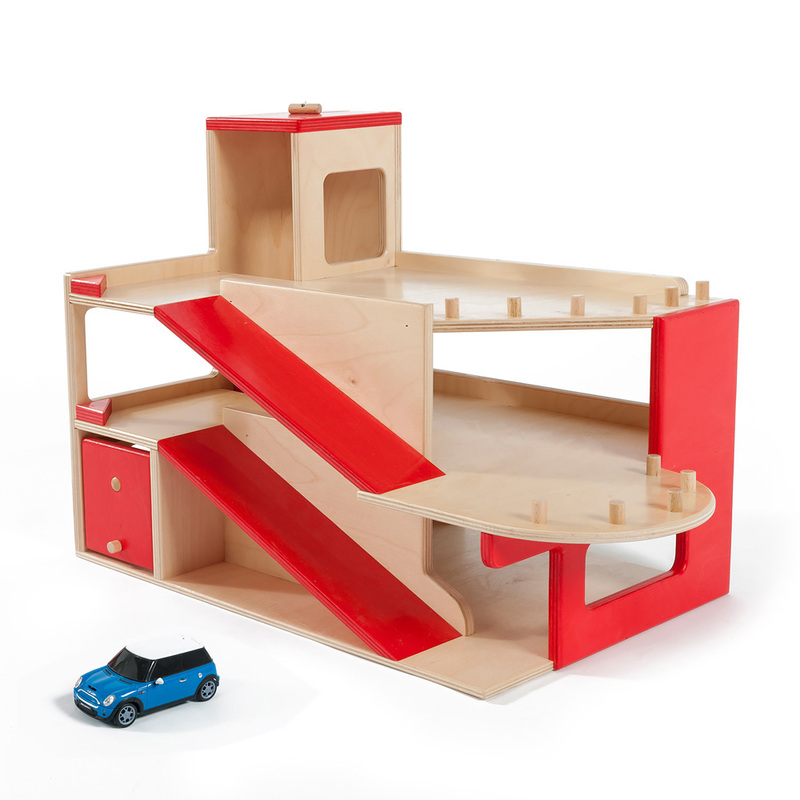 The small world garage features a car lift with pull cord as well as a working garage door. The compact design of the garage allows for convenient storage when not in use. Manufactured sustainably in the UK using a durable birch plywood with a child-friendly, water-based lacquer that helps the product to maintain its appearance. A water-based red paint is also used to accent features. Please note: the toy car featured in the product images is not included with the small world garage. Please Contact Us or alternatively call for more details on 01733 511121.